We are pleased to announce that our tribute to the Fallen of WW1 commemorated on Swanley War Memorial is now available . The book tells the story of the men and their families and portrays them as real people, rather than simply name, rank and number, depicting the sacrifice of both individual families and an entire community. The book is illustrated with photos of the local area at the time and includes family histories, newspaper obituaries, family photographs of the men, their medals etc. along with personal stories passed down through the generations. Whether or not you have a relative named on the Memorial we are sure you will find this book both informative and moving. If you are unsure if a relative is named on the Memorial check out the following page. Thank you to all those family members who contributed photos and memories and added so much to our research. There are 5 men we have not been able to identify and hope that relatives may see our book and come forward. 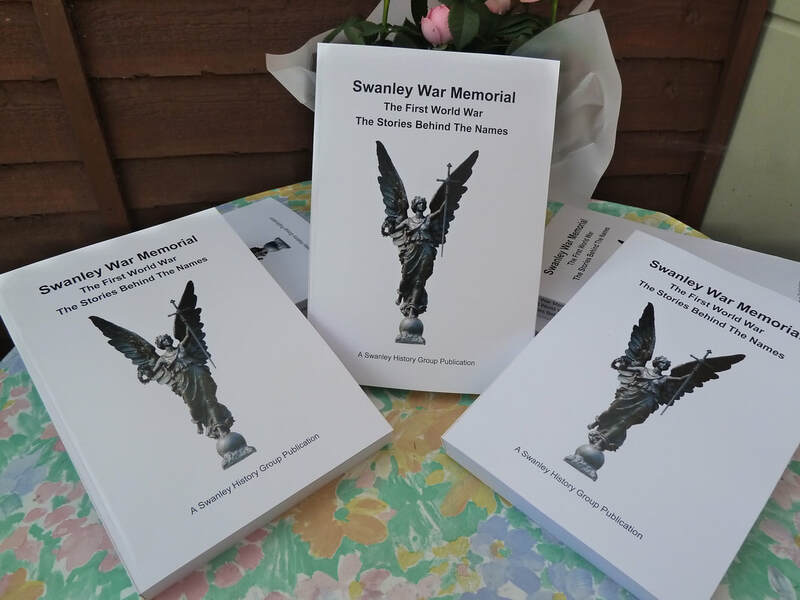 You can collect a copy from any Swanley History Group Monthly Meeting 1st Tuesday of month at The Alexandra Suite St Mary's Road ,Swanley BR8 7BU 7pm. Do not send correspondence to this address. Alternatively we can post to you on receipt of a cheque or crossed postal order for £11.50 2nd class postage and packing within UK payable to Swanley History Group. If you are abroad we will let you know the cost on an individual basis. Send C/O Ann Hollands 5 Victoria Hill Road, Hextable, Swanley BR87LL. If you live locally to Swanley or Hextable we can arrange to deliver to you or for you to collect from us and pay the cash at the time.